Day 3 of Leslie Saeta's January Challenge. 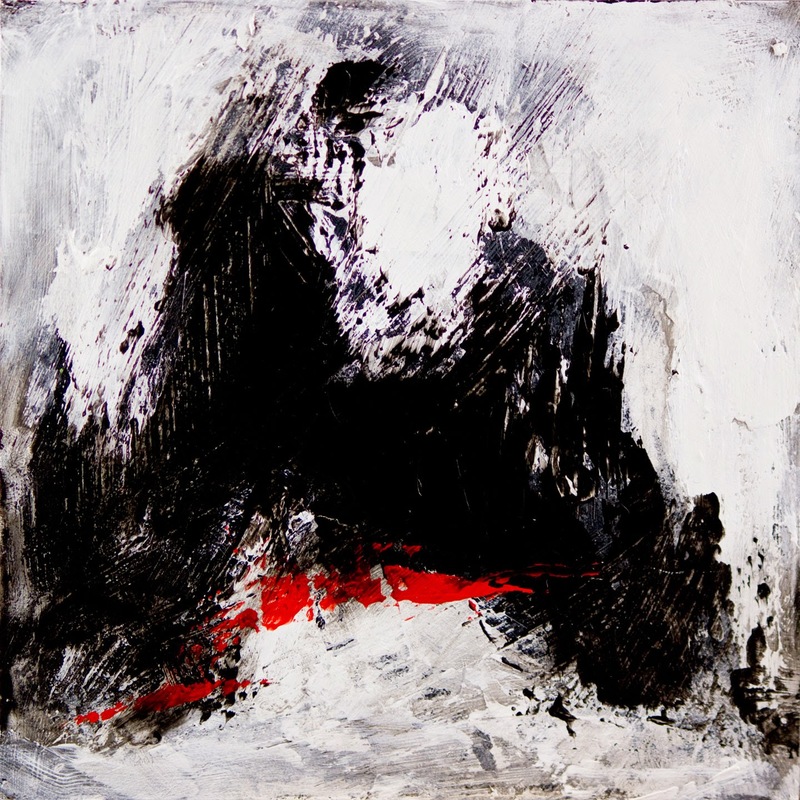 I love dramatic abstract expressionist paintings and black and white is one of my favorites. So I started some paintings that can go together as a grouping for wall decor! Smart and sharp! I named the series (how ever many I do) "Out of Dark Comes Light and Color" because it's kind of like my life. I battle depression, well actually not clinical depression but situational depression (which I am so happy for) I try to crawl out of that pit when I fall in asap! The white symbolizes light and life coming out of the darkness and depression and the color accent is the zest and joy for life. I would like to explore the different blacks. I see this series as groupings of four using Bone Black and Titanium White. The color accents, just a bit, drawn by a palette knife, will be Cad Red, Ultramarine Blue and Cad Yellow. As I move on I will explore Carbon black and maybe Chromatic black.